Telecommunications group MTN has confirmed that the Nigerian Communications Commission (NCC) has imposed a fine on its Nigerian subsidiary of a massive US$5,2bn (about R71bn). The confirmation of an earlier report published by Technology Times in Nigeria, has sent MTN’s share price into a nosedive. Shortly after firming up the quantum of the fine, the share was trading down by more than 10% on the JSE. “Shareholders are advised that the NCC has imposed a fine equivalent to $5,2bn on MTN Nigeria. 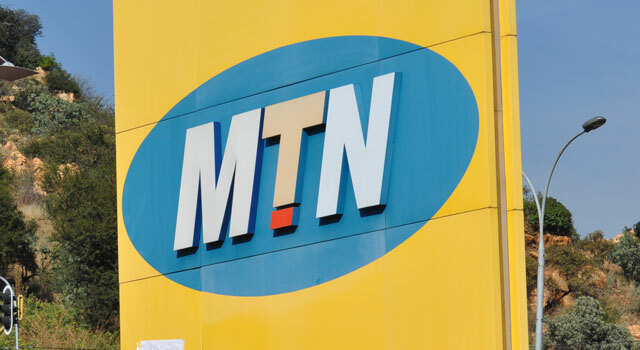 This fine relates to the timing of the disconnection of 5,1m MTN Nigeria subscribers who were disconnected in August and September 2015 and is based on a fine of 200 000 naira for each unregistered subscriber,” MTN said in a statement issued to shareholders. “MTN Nigeria is currently in discussions with the NCC to resolve the matter in recognition of the circumstances that prevailed with regard to these subscribers. We will continue to update shareholders in this regard,” it said. Technology Times reported earlier that Umar Danbatta, the newly appointed head of the NCC, had approved the fine against the South African-headquartered company. This followed MTN’s alleged breach of Sim card registration rules meant to combat crime and terrorism. Nigeria is MTN’s largest and most profitable market. But the NCC’s fine dwarfs not only profits from MTN’s operations in that market, but from the entire group. Group profit after tax for the 2014 financial year was R37,7bn. That’s going to be a big hole to dig themselves out of. I guess, MTN did not lubricate the “correct” channels. Telkom lost R 5 Billion in a Multi-Links deal in that same country. Tough place to do busisness. Well the whole Rica and Fica thing is actually a joke in SA, glad to see that other countries are taking things a bit more serious. Acc to the market analyst Wayne McCurrie yesterday on The Money Show on 702, it is more because authorities are desperate for tax collection, as oil income is low. The main issue in Nigeria, with the whole economy, and state funds is the indescribably deeply rooted corruption, especially in the oil industry. I remember a previous Nigerian Reserve Bank Governor decrying, how 20 Billion $ had just disappeared from the state oil company. He was ousted shortly after that. But their new president Buhari appears to be quite tough on corruption. Don’t know aboiut FICA, but the RICA system is quite leaky.